Consider this long-sleeve silk top a versatile hero for your wardrobe. Consider this long-sleeve silk top a versatile hero for your wardrobe. 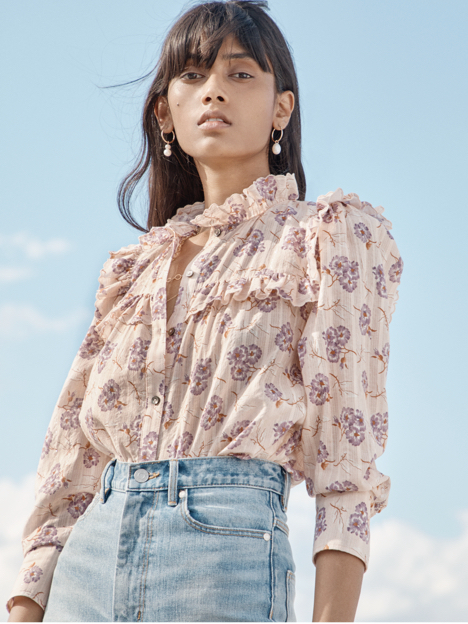 Crafted with a subtle heart jacquard, its ruffled neckline and bloused sleeves add a refined touch to any look.